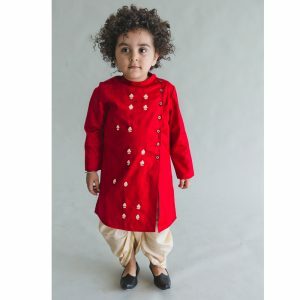 Are you looking to buy soft and comfortable Kurta Pyjama Nehru Jackets for your child? 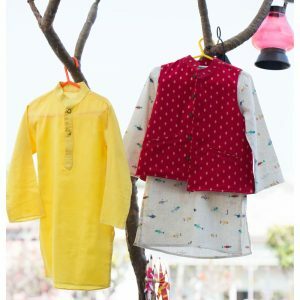 You will find a large collection of Boys Kurta Pajamas Online at Curious Village. 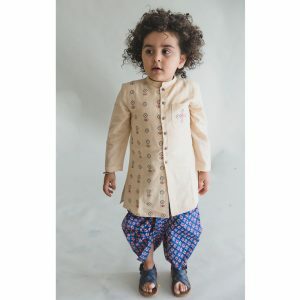 When it comes to buying Boys Kurta Pajamas Online, there are various factors that you should first check out. 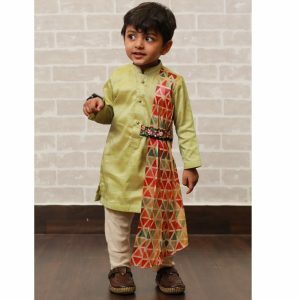 First, you need to check the fabric material of the kids kurtas for boys you buy online. The material should be breathable and wicking. 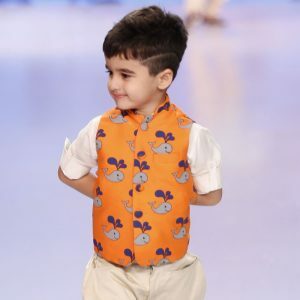 This means that the fabric should keep your child feeling cool and comfortable. 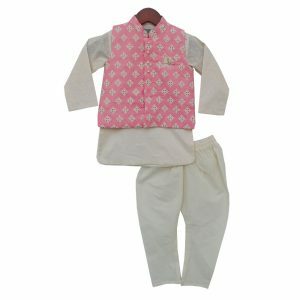 So, you should preferably go for cotton material when you buy boys kurta pajamas online. 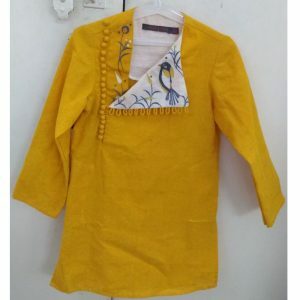 Cotton is a natural fabric that is soft against the skin. Secondly, this fabric quickly absorbs sweat, leaving the skin feeling cool. Synthetic fabrics tend to stick to the skin when it comes in contact with sweat. So, if your child wears pajamas made of synthetic materials, then they may feel hot and sticky all night long. They will not sleep properly, which will affect their health and general temper. 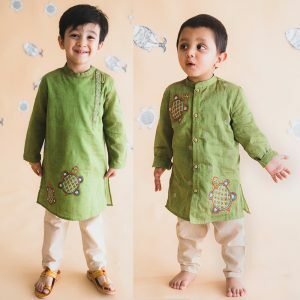 Secondly, you should check the size of the kids Kurta Pyjama Nehru Jackets online. When you buy sleepwear, it is always best to go for outfits that offer a relaxed fit. Again, this is to do with the comfort factor. 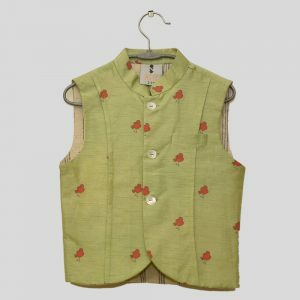 If the night dress is too tight, your child will feel uncomfortable all night long, which will surely disturb his sleep and consequently, your sleep. 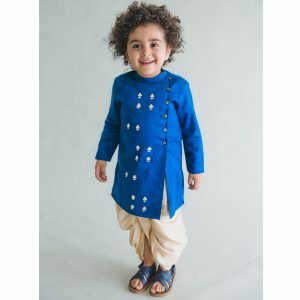 Make sure the kurta pajama you buy for kids online doesnt have too many buttons, so that you can easily slip it on or take it off. When your child is sleepy, it can be difficult to undress him and put him into his nightwear. At such a time, if you have to deal with multiple buttons, then it can become very difficult for both of you.